Here in the frozen north, the Farmer’s Almanac has a saying: “As the days start to lengthen, the cold starts to strengthen.” This meteorological fact, accompanied by the state of affairs where I have completely consumed the last bit of holiday sugary treats, can lead to a bit of a slump. The deadline-driven productivity of holiday gift building is past; the warmth of regular family contact is a memory — so my English setter, Leeroy, and I are left with huddling under piles of blankets watching This Old House. Leeroy is a great cuddler. But fear not: there are birthdays galore in January, so gifting deadlines are there to launch me into action soon. And my shop is heated — so the slump’s days are numbered. Becky Lamb likes to work with wood that has a history and character, whether that’s pallets or reclaimed barn wood. Most shops suffer from a dearth of work surfaces. Our reader tells you how to turn sawhorses into a work table for just a few dollars. A simple solution to finishing and drying small parts and projects using stuff from your desk drawer. 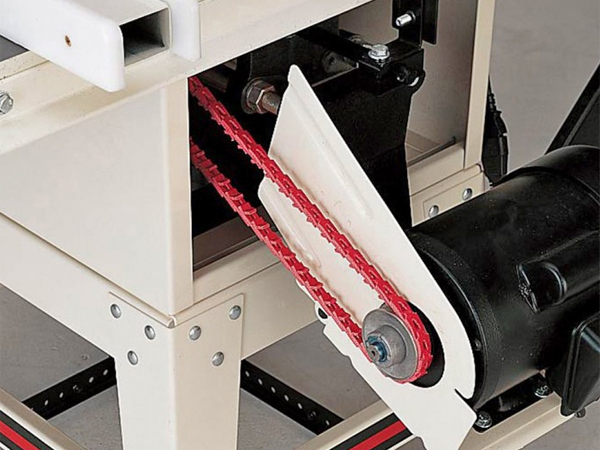 Adjustable boom and scoop solution for spindle and pen turning. Why Does My Table Saw Blade Stop While Cutting? The blade stalls mid-cut, on my older Craftsman table saw. Why is this happening? This is a tool chest that uses six different methods of joinery using hand tools. Readers share what they gave for holiday gifts; plus, you’re still building with butternut.